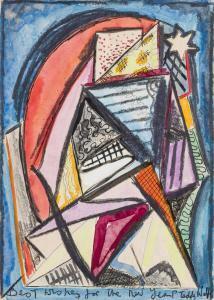 Find artworks, auction results, sale prices and pictures of Edward Wolfe at auctions worldwide. 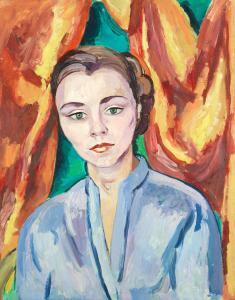 Edward Wolfe (South African, 1897-1982) Portrait of a Young Woman signed 'Wolfe' (lower right) oil on canvas 61 x 50cm (24 x 19 11/16in). Footnotes Provenance With The Lefevre Gallery, London, 1948 With The Lynda Cotton Gallery, Watchet, West Somerset, where acquired by the present owner Private Collection, U.K.
Beautiful portfolio of twelve colour lithographs on silver paper in a green linen solander presentation box with silver decorated upper and titled spine. South African born Edward Wolfe studied at the Slade School of Art in 1916-1918 during which time he was invited by Nina Hamnett to join Roger Fry's Omega Workshops. His first exhibition was held there in 1918. A solo exhibition followed two years later at Leon Levson's Gallery in his native Johannesburg. A retrospective exhibition of Wolfe's work was hosted by the Arts Council in 1967 and he was elected a member of the Royal Academy in 1972. 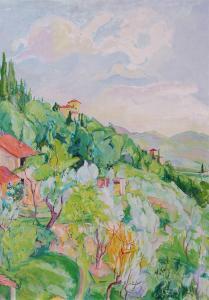 A further retrospective was held in 1997 at the Paisnel Gallery. 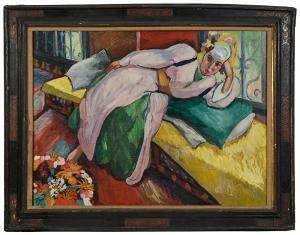 Examples by Wolfe can be found in the Tate among others public collections. 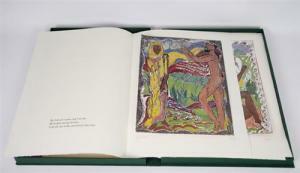 Song of Songs: 250 sets numbered 1-250, 25 sets numbered I-XXV HC. Signed Wolfe in pencil. Twelve illustrations printed offset lithography by Adrian Lack a the Senecio Press, Charlbury on aluminium lined paper in four colours and matt varnish using Hostmann Steinberg inks. Mounted on Velin Arches 160 gsm Blanc. Text hand-set in 18-point Caslon type and printed by John and Rosalind Randle at The Whittington Press, Andoversford. Bound by Weatherby Woolmough. Edited by James O'Connor.